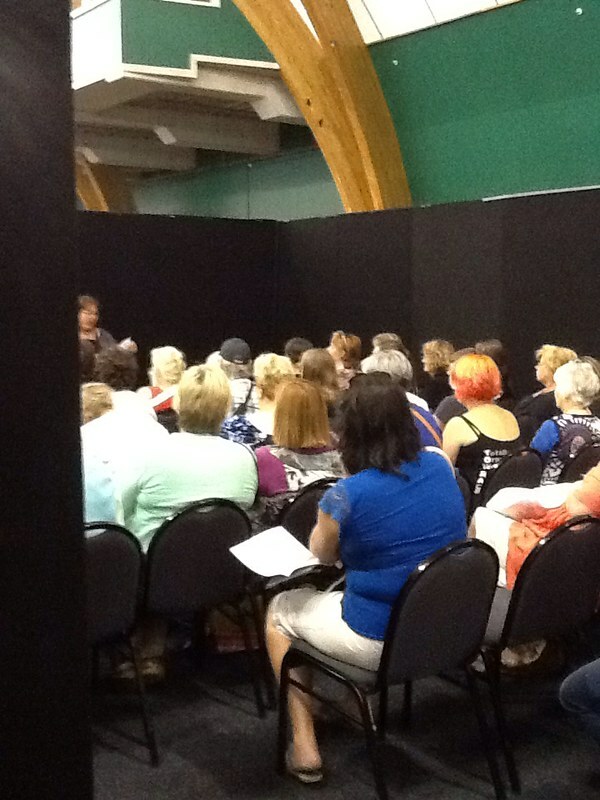 As the title suggests I'm currently in Palmerston North at the Craft & Quilt Fair. 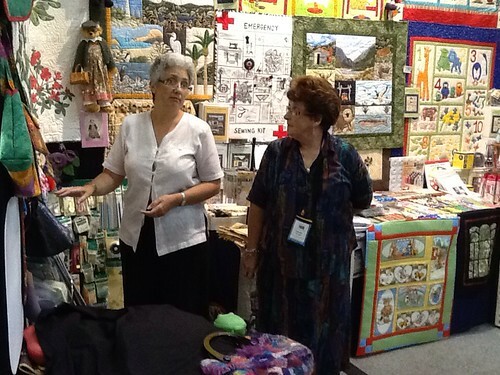 I thought you might be interested in the busy quilting related week I've had so far. 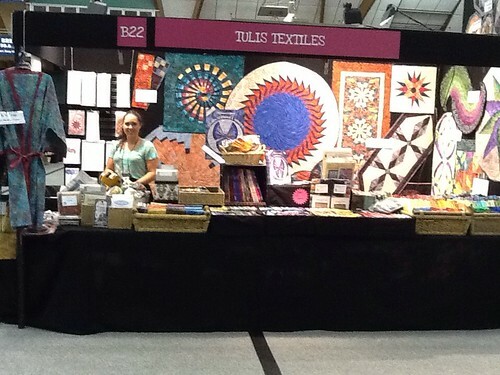 The Craft & Quilt Fair is being held in Palmerston North for the first time this year. As I had to drive all my stock down from Northland; the hubby and I decided to make a wee trip of it. From Cambridge we moved on to the Hawkes Bay and more specifically Napier. Just a quick fact about me, I was born in Hastings, Hawkes Bay; so I always love the opportunity to visit family while I'm there. In Napier I taught my Simple Double Wedding Ring class using the Simple Curve. 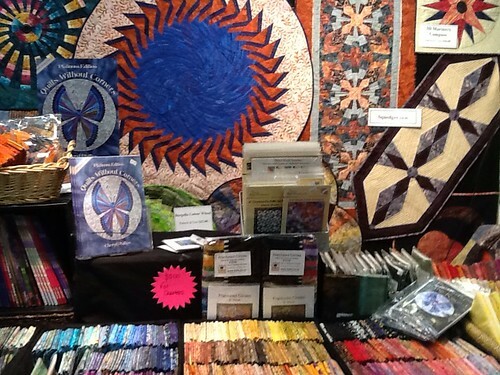 This was at Rachael's shop the Patch and Quilt, it's right out in Wine country. I also made sure we stopped at a couple of wineries while we were there, combining my two loves is always an enjoyable experience. Unfortunately I haven't got any pictures at this stage to show you from the first leg of the trip. Because the trip couldn't possibly be all about me...I made sure the hubby got in a couple of games of golf which kept him happy. 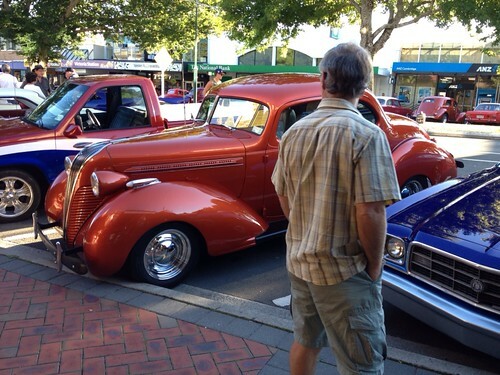 Also while we were in Napier there was a vintage car conference on...more points for me. There he is...doesn't know which way to look! From Napier we went to Martinborough for the weekend. It is such a lovely area and should be on everyone's list of places to visit in New Zealand. While we were there we went to one of the winery tour shows. Even if you're not a particular fan of the artists playing, it's still worth the experience. We had a very enjoyable afternoon/evening. 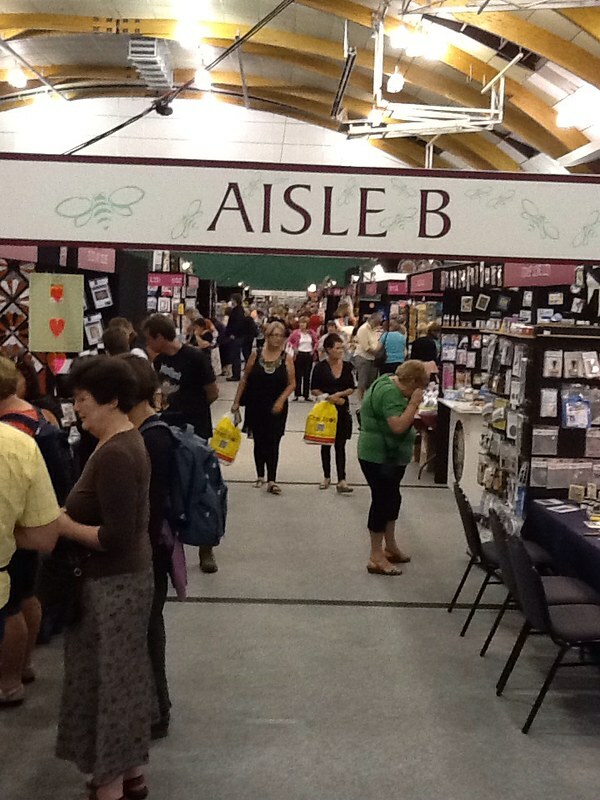 On Tuesday we drove to Palmerston North, in time for set up at the show on Wednesday. It is now halfway through the show and I thought you might like to see what's been going on so far. Some images of the stand, there is a strong focus on the various wedge tools this year. The girls next door to me from Elna Sewing & Jan's Patch. 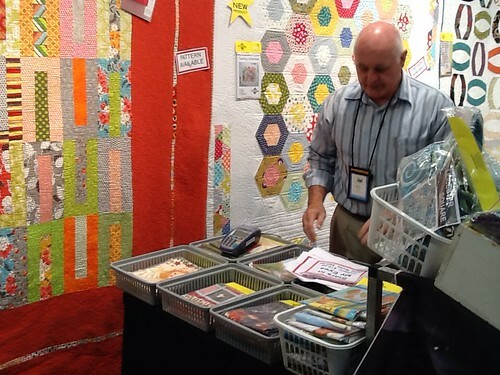 Here's Elwin from Just Patchwork, based in Australia. I'm sure you ozzies will be familiar with them. This website is much more user friendly than the previous version. The monthly newsletter includes a free pattern and exclusive specials on products. By emailing me your email address you'll get the newsletter delivered straight into your inbox.